Yesterday I went out walking in Luxembourg, not sure what I was going to do, but didn't feel like applying for jobs (or napping :P) all day. Since I knew there was a lot of walking involved....I wore my workout pants. There's just something about jeans and runners that I can't pull off. Did I mention it was +11*C? That means cold, man. I needed to dress for it. But I did get some strange looks! Luxembourg is such a beautiful city! First stop was Namur for a hot chocolate. They are daMN good! But, I always find the service a little too snobby for me. Next I walked over to Place d'Armes and just sat and drank my hot chocolate. (It's rainy right now and I'm tired, so it will be a Wiki link up and not so much an explanation of the place :( ). Couldn't resist trying to capture a picture of these two cute dogs! Next I was on my way to Casemates Petrusses, I think I got a little lost, so I just walked around and took pictures. Well yesterday night wasn't fantastic (although my hosts were!) which kind of took over most of today. Finally, after a nap, I decided to go for a walk downtown. Luckily, my friends' place is so close! 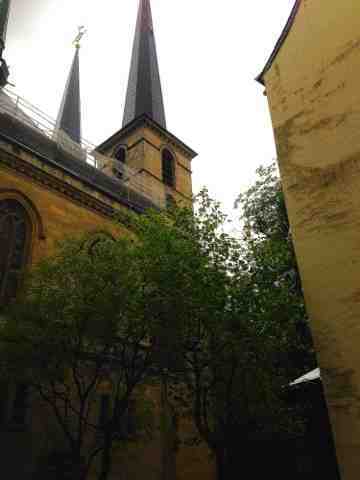 Luxembourg is such a beautiful place!!! I could walk around forever. 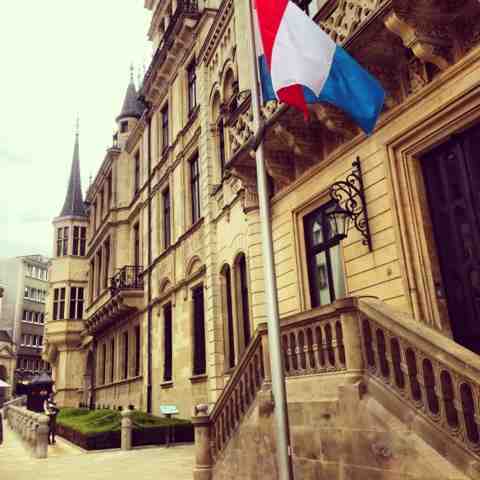 All of the government buildings are nearby, including the Palace where the Duke and Duchess of Luxembourg live! The Duke and Duchess are in town so there pictures are up in lots of shops. I'm still a little blue, I miss Louis and I don't always understand how this long distance thing works, but the walk did me some good. 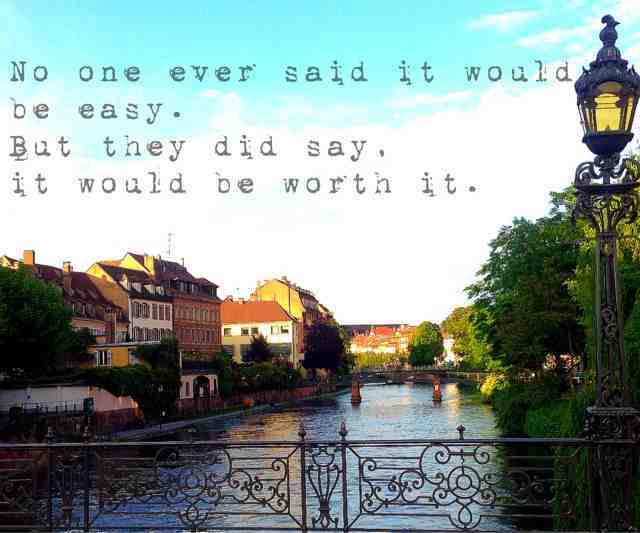 Hoping for a better day (mentally) tomorrow! having an awesome supper and light dessert with friends, and then my mind went crazy. I've been job-hunting more since I've been here, which somehow instantly turns into panic that I'll never find a job, Louis will leave me, and I'll end up working a Starbucks for the rest if my life. (There's nothing wrong with working for Starbucks but I don't think it would make me personally happy, even though I would be lost without them). A practically perfect day, sort of ruined because I started to panic so much that I just had to go to bed. I'm happy to have done all these fantastic, amazing, mind blowing things. But what about after?!?! What if it's all downhill from here? What if Louis and I can never find a job together? What if we never have children? Yah. I hate when this happens. When I first decided I wouldn't go back to Canada every vacation, cycling in Alsace was the first thing that I wanted to do. No idea why, no idea where it came from, but that was what I wanted to do. Never got around to it, so I was happy to hear that my friends had planned a little getaway in the region. 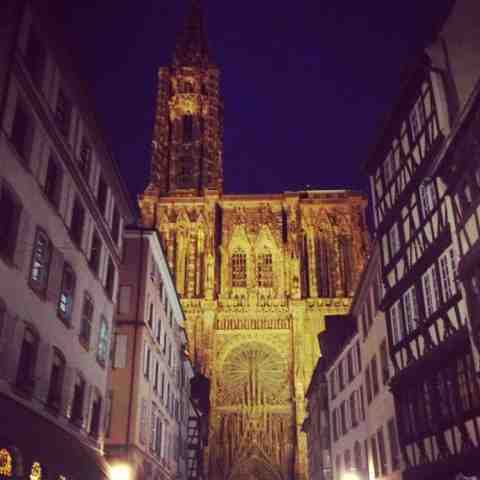 We stayed in Strasbourg, in a cute boutique hotel. The first night we got thre too late and most restaurants were closed, so we walked downtown and had some local fare. I somehow ended up with a plate of fried potatoes, some bacon, and a dill dipping sauce. I'm not complaining, but it was a little on the heavy side! 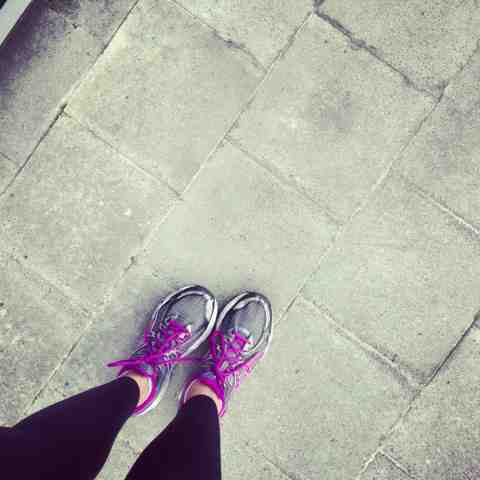 I woke up the next morning and couldn't sleep, do I went for a quick run through the city. After we all woke up, we tried to drive to Freiberg, but our GPS system is a drunk British lady and kept giving us WEIRD directions. So we did what every other (potentially not) normal person would do and went into a gas station and took a picture of the map we needed.